THINGS LOOK GREAT IN THE REAR VIEW MIRROR! With instant access to seemingly endless amounts of data at your fingertips, it’s tempting to think that you can answer any question or solve any problem with the click of a mouse. Questions? Maybe. But solutions may be another thing. Most difficult problem solving requires more than access to data. It requires knowing what questions to ask of the data, and better yet, what to do with that data. 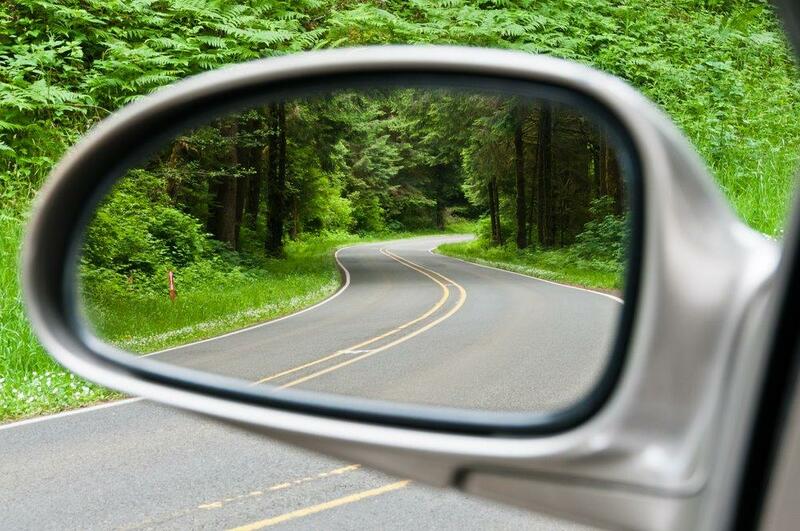 Raw data in a set of books or general journal is really a rear-view mirror view of your business. It’s a history of where you’ve been, not where you are going. Knowing what questions to ask of the data doesn’t come from the data, or even knowing the language of accounting. What you really need to drive your business and navigate the curves and hazards is the windshield and the dashboard! It’s always great to know where you’ve been. It can keep you from repeating costly mistakes and give you a reality check. But when it comes to navigation, if you rely on the rear-view mirror approach, the road may look rosy until you suddenly realize that the cliff is receding behind you at an alarming clip. Then it’s too late! So look out the windshield and check your dashboard. You need a dashboard so you will know, among other things, how far you can go before you run out of money. We didn’t know it at the time, but we were basically “hacking” into our own general journal to get the critical information we needed to run the business, in a format we could understand, based on our experience and what we saw coming. We didn’t learn how to properly read a set of books for years, but we did have the right numbers, metrics, and records to make daily calls on key decisions. Don’t get too comfortable just because you have an accountant. Think about what you want to see and demand it on a regular basis. Call it the executive summary or the dashboard or even the box score. Once you start this practice you will keep discovering more information you need. In fact, it’s the only way to truly understand your business and to react fast enough to what’s coming your way. The key to knowing what questions to ask of the data is knowing what is the most important, most pressing and essential first, then building on that firm foundation. Most of that knowledge comes from the street, not necessarily the keyboard or the mouse. Getting out there and actually doing the work, no matter how badly you stumble at first, is a true education in priorities and one that will guide you much better than knowing how to read a set of books.